Linda Phillips - jason wiener | p.c. A thriving small business community is vital to the health of any society and I believe in providing small businesses legal options that will best suit their particular industries and missions. Linda Phillips was born in Nurnberg, Germany to an American military family. Her Dad was a West Point graduate and her Grandfather was an army/air corps Colonel at Pearl Harbor in 1941. Linda’s Mom is a photographer and artist and Linda has two brothers with families in Texas and Florida. Linda has lived all over the United States (5 grade schools, 4 high schools, including 2 American schools in Germany), but she calls Colorado home as she has lived here over half of her life—mostly in Colorado Springs, Boulder and Denver. Even though she lives in mountain country, her passion is the ocean and she is an avid scuba diver and advocate for maintaining the health of the world’s oceans. She also enjoys creative pottery, reading, gardening and any type of national or international travel. Prior to working in the law, Linda gained business experience while working in advertising/marketing, banking and commercial property management in California and in Colorado. She was co-owner of a marketing business in California, helping small businesses learn to conduct their own advertising and marketing campaigns. Linda returned in Colorado in 1984 and after working in banking for several years, she earned a certificate from Denver Paralegal Institute in 1991, beginning her career in the legal industry. Utilizing her background in business and business law, Linda has worked for many industries, including agriculture, telecommunications, banking, retail, wholesale, small business, nonprofit entities and service companies. Through her training as a paralegal for James B. Dean, Esq., Linda learned about the special legal and management needs of cooperatives and the business model’s unique ability to bring people together for purposes other than investment. 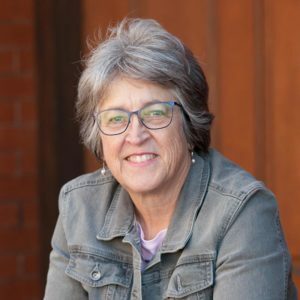 After becoming an attorney, Linda has continued working with small- and medium-sized businesses and has helped create worker cooperatives, purchasing coops, retail multi-stakeholder coops and many others. Practitioner’s Guide to CO Business Organizations, Third Edition, Chapter 15 (on Cooperatives), with Jason R. Wiener (2017). USDA Rural Cooperatives Magazine, Colorado is Fertile Ground for Co-op Development and Conversions (Sept./Oct. 2016). The Colorado Lawyer, Worker Cooperatives: Their Time Has Arrived (Sept. 2011, p.33). The Colorado Lawyer, Long-term Care Ombudsman Records: Confidentiality for The Frail and Vulnerable; with Valerie Corzine (Nov. 2002, p. 73). Colorado Bar Association’s Western Agricultural and Rural Law Roundup entitled: Selected Current Issues and Considerations Relating to Agricultural Employment, with James B. Dean (1993).